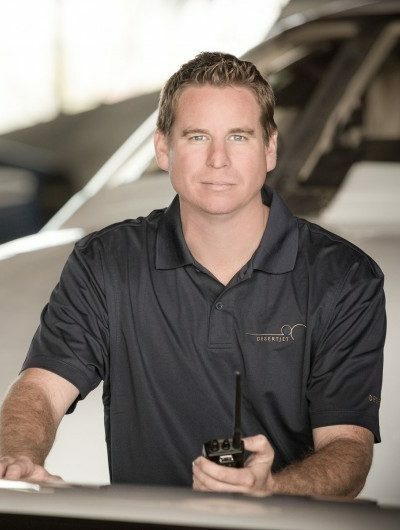 This episode's guest is Brad “B-Rad” Elliott, who is General Manager at the Desert Jet Center FBO, which he was involved in opening, and he is also a Bahamas Flying Ambassador. He’s been in business aviation for 16 years, including positions in customer service, marketing, sales, and more. He’s planned trips around the world in small private jets and turboprops, has a private pilot license, and has volunteered in various capacities in aviation, including serving on the NBAA S&D committee for 4 years, setting up static displays at various conferences, and being involved with many aviation charities. We cover how he got his start in aviation, some of the key skills that have helped him been successful in his career, how service has changed in business aviation, some of his favourite business resources, and more.